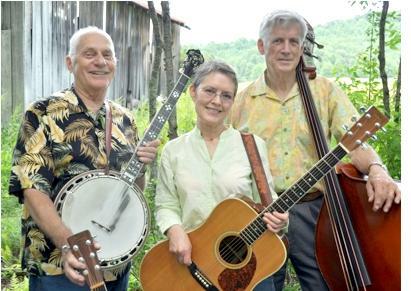 On Friday, October 12, 2012 at 7:00 PM WSVS 800-AM is pleased to present bluegrass masters Eddie & Martha Adcock with Tom Gray at the Crewe Community Center, 200 W. Tennessee Ave. in Crewe, VA. Tickets are $12.00 in advance and $15.00 at the door, and are available at select Benchmark Community Bank locations, and at WSVS radio in Crewe, VA. For information, call: 804-678-8013 or 434-645-7734. After more than thirty years together, Eddie and Martha Adcock are perhaps the most popular and enduring duo in bluegrass music today. While Martha is known for her evocative vocals and powerhouse rhythm guitar, Eddie is lauded as one of bluegrass music's few truly original stylists on banjo and guitar. Agile and creative, Tom Gray has long been one of the best-known and most respected bass players in bluegrass. In the 1970s, Eddie and Martha began their partnership in the groundbreaking newgrass band IInd Generation, while Tom helped found the ever-popular Seldom Scene. Eddie and Tom first performed together in the late 1950s, in one of the most innovative and influential bluegrass groups of all time, the Country Gentlemen. Those iconic Country Gentlemen, which also included Charlie Waller and John Duffey, were inducted together as a group into the IBMA Hall of Fame in 1996, the first band to be so awarded. They also were inducted into the Washington, DC Area Music Association's Hall of Fame in 1996. Their individual awards are too numerous to list. True legends in bluegrass, yet ever-fresh and vital, these multi-award-winners --Eddie & Martha Adcock and Tom Gray-- will present a memorable and highly entertaining evening of music. Eddie Adcock was born in 1938 in Scottsville, Virginia, and by the time he was eleven years old he was playing guitar in church and on the local radio station. But his big break came in 1955, when he acquired a banjo and joined Smokey Graves & His Blue Star Boys at WSVS radio in Crewe. Eddie has always held a special place in his heart for Crewe. WSVS is pleased and honored to bring Eddie back to his musical "hometown"!